There are new kids on the block with respect to breaking in on the messianic Judaism scene. The messianic Judaism scene of course is a great source of revenue to the new kids on the block because of Messianic and/ or Christian denominations desperate attempts to see those Jews converted to their ‘divine’ messiah Yeshua! A common feature in the attempts to see that those Jews convert to their ‘divine’ messiah Yeshua is a spicing up in the presentation of their ideas. The spicing up may include promotion of e-books/ DVDs (which they have written/ produced) by their fellow messianic buddies, even some Orthodox Jews also involved and cashing in on the messianic Judaism scene. The messianics’ e-books unquestioningly intermingle modern day Hebrew, Hebrew of the mishna with biblical Hebrew and include a myriad of misapplications of a whole slew of (mis)quotes from those Rabbinic Sages! Behold the Lamb er Pig that takes away the sins of the world!! Now at this time it would very easy to get sucked into the vortex of such a formulation as the Kosher Pig thesis presented above and be spun off in many tangential paths of trying to iron out the errors of the formulation. Whilst the thesis for the book has been published (see quote above), the book is still awaiting publication. One thing to always note however, when Messianics quote rabbinical, kabbalistic or midrashic sayings to justify their beliefs in a deified Yeshua: 99.9% of their quotes are from Rabbis who post-dated Yeshua himself. Another thing to note is that 100% of these Rabbis themselves said what they said and rejected the possibility that Yeshua was the Messiah let alone a divine Messiah. In other words, what the Rabbis said and meant by their words was COMPLETELY different to how messianics quote their words and then reinterpret them within their own Christian traditions and their latest spins doing the rounds of the various messianic circuits(see A Critical Review of Professor Daniel Boyarin’s: “Borderlines” and “The Jewish Gospels”, By: Rabbi Yisroel Chaim Blumenthal, here.)! It never ceases to amaze me the dissonance of the obvious question or observation: If the messianics theories about what the Rabbis said and meant by their words are correct then the Rabbis would be believers in the divine Yeshua would they not? Moreover, since the writings of the Rabbis post date Yeshua/ Jesus they would say so would they not? Another perspective to the dissonance is how the Rabbis have always read and applied Rabbinic literature. Rabbinical sources always have deeper levels of meaning to a text. However, messianics fail to understand a problem with ‘messianic’ (mis)uses of rabbinic commentary. The problem is the (deliberate) partial rejection (when it suits them) that each of the four levels (PARDES) of extended meaning of the text are entirely consistent within themselves and most importantly THE GENERAL RULE; that the extended meaning never contradicts the plain meaning of the text (Peshat). Peshat (פְּשָׁט) — “plain” (“simple”) or the direct meaning. In the first instance, using the famous aleph tav (את), the plain meaning is the grammatical, where the aleph tav (את) is the direct definite object and tells us that G-d created the heavens and the earth. On an allegorical level G-d created the aleph bet and then used the created aleph bet to ‘speak’ the world into existence. The scriptural and the allegorical plainly show that G-d created the world and the aleph tav(את) respectively. In contradistinction the New Testament (see John 1:1, 14) would have us believe that the word (aleph tav)(את) is equal with and is G-d and became flesh too! In other words both Yeshua and Jesus are divine. However, the major personality who was associated with the pig was Esau in particular, and, eventually, the Romans (his descendants) in general. Esav, Yaakov’s twin, claimed to follow the same tradition as Yaakov. When Yaakov left to Padan Aram to marry a girl from the family , Esav followed suit and also married a girl “from the family,” but did not divorce his non-Jewish wives. This act of marrying a “girl from the family” was solely in order appear as though he was following in the footstep of Jewish tradition. The so called “Judeo-Christian” tradition and now messianic judaism invented by Christians is merely a facade. Despite the fact that the two brothers were twins, and had a lot in common biologically, they had very little in common in terms of lifestyle. There is an often-quoted medrash to support the facade which states, “Why is the pig called a ‘chazir’? Because some day in the future God will give it back (“lehachziro”) to the Jewish people.” The Rishonim ask how this can be. The Rambam postulates, as one of the thirteen principles of our faith, that the laws of the Torah will never change. Can it be that some day it will be permissible for us to eat Pork? Some of the Rishonim explained that “the return of the pig does not refer to eating pork, but rather to the restoration of the Jewish government in place of the Christian one.” The “pig” is the faker who makes believe that he is kosher by showing his split hooves, just as Christians and messianics claim that theirs is a twin-religion with ours, and just as Esav was a twin brother of Yaakov. 19 O LORD, my strength, and my stronghold, and my refuge, in the day of affliction, unto Thee shall the nations come from the ends of the earth, and shall say: ‘Our fathers have inherited nought but lies, vanity and things wherein there is no profit.’ 20 Shall a man make unto himself gods, and they are no gods? 21 Therefore, behold, I will cause them to know, this once will I cause them to know My hand and My might; and they shall know that My name is the LORD. To all those believers in a divine messiah out there you are indeed following a pig and are part of the pig’s empire. The pig’s empire being Esav and his descendants. You try to scrub that pig to make it more kosher by saying you follow Torah, saying you follow the teachings of the rabbis, wear tallisim, dance with a Torah scroll, eat biblically kosher food but not the rabbinical. The pig will never be kosher until the pig changes what makes it unkosher from the inside and what makes you/ the pig unkosher is the divine messiah! Also, do you suggest that these Israeli Jews such as the author Rabbi Itzhak Shapira who have been raised in strict Orthodox families are no longer kosher/not Jews because they profess Yeshua as their messiah (instead of Schneerson or other more “politically correct” messiahs)? TIA for the clarification! I changed your spelling wrt pedal etc.., using the WP editor for comments. I think that if you look at the structure of what I wrote, I wrote in the beginning in a general way. However, I may have been in e-mail discussions with this particular person before constructing this article and the upcoming book was possibly yet another money making exercise and a woeful misuse/ abuse of rabbinical literature. The quote wrt the kosher pig is from the kosher pig website btw. The quote itself is sufficient within itself for the basis of this article without reference to any e-mails. The quote is the basic thesis of the book BTW. Jews who are caught up in idolatry are still Jews, even those who have chosen to deify the Lubavitcher Rebbi or believe in a divine messiah such as Jesus or Yeshua. Jews believing in a divine messiah no more validates their beliefs than the beliefs of Jews who believe in and follow Hinduism or Buddhism or other forms of idolatry. Idolatry is idolatry no matter how it is dressed up! Idolatry is nothing new for the Jewish people, the Jewish scriptures gives a comprehensive account of it and how one may identify it. The deception here is slick! But if you look close enough you will see it! Not once does Itzhak Shapira say he was raised in an “Jewish Orthodox” home. What he does say is that he was raised in an “observant Saphardic” home. What does that mean? What was he “observant” to? He then goes on to say that he ” holds a full Rabbinic S’micha from the IAMCS”. Do you know what IAMCS is? It is certainly NOT a “Jewish Rabbinical School”. On the contrary! IAMCS is an online christian school where one can get a “paper certificate” that say’s rabbi on it. My real question is this. Why do these messianic christians try to use the authority that comes with being a genuine Orthodox Jewish Rabbi, deceitfully I might add, and then reject the very Rabbi’s he is pretending to be?! Check out this link and see for yourself the “degree” that “Pastor” Shapira really has! I will quote from their web site below. Thank you for your interest in the IAMCS Yeshiva Certificate Degree in Messianic Jewish Studies program. By taking eight IAMCS Yeshiva courses—one from eight of the ten categories presented in our catalog—then writing a short two page summary on each of them, you will receive a framable certificate showing that you have completed this course of study. Being brought up in an Orthodox home/ community does not necessarily mean that one is necessarily practicing or knowledgeably Orthodox or Jewish according to Orthodox halacha, since the mother of a child may not be Jewish too. Neither is it an indicator of the qualitative value of any learning with respect Orthodox custom and practice. Even if it is possible to prove that one is Jewish according to Orthodox halacha and there is some tentative connection with Orthodoxy. To then call oneself an ‘Orthodox Rabbi’ without appropriate study in a recognized Orthodox yeshiva and without communal recognition in an Orthodox community is deceptive indeed. Even more so deceptive, if the claim for Rabbi status/ ordination is by virtue of a Christian / Messianic organization and semantically bolting the term ‘Orthodox’ onto it to create the impression that one is an ‘Orthodox Rabbi’!! Shapira’s behavior is just like the story of the kosher pig. Shapira claims to be kosher. “Hey look at me I have split hooves” aka ” a full Rabbinical S’micha. 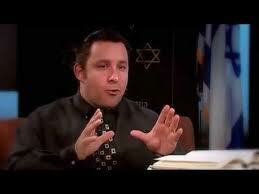 You can trust me, I am a real Jewish Rabbi!! But when ya look & listen you will see that he does not chew his cud, he must use deceit to gain his respect. 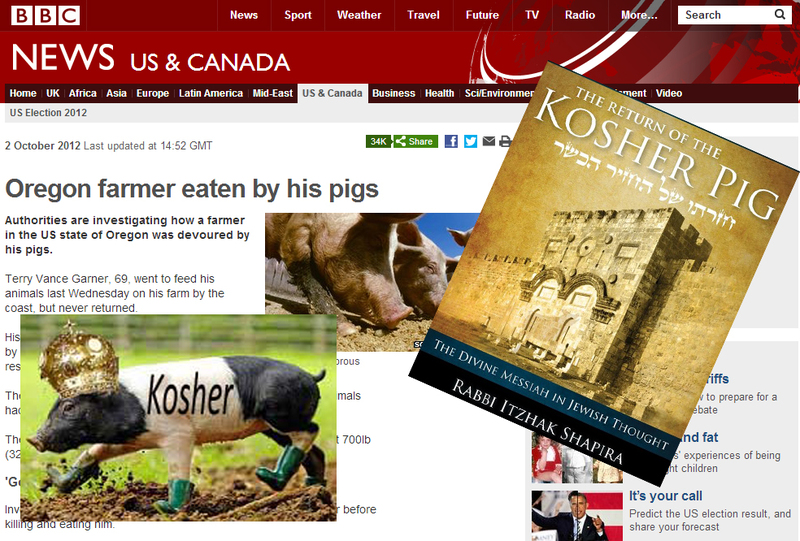 It is almost laughable that Shapira chose the kosher pig as the title of his book. Indeed, the pig has come to represent hypocrisy, someone who shows themselves to be righteous, but is not-so-kosher on the inside. In Judaism, there is nothing more morally detestable than a spiritual charlatan. Not being able to chew the cud is the worst type of hypocrisy. The pig needs to change from the inside. In other words, the pig needs to repent of the idolatrous divine messiah so that he/ she may be accepted as kosher by the Jewish people. May it be soon in our days. Anyway, even before I read your article, I saw advertisements of the book, and read some endorsements, but was turned off—mainly because as a Christian, I am uncomfortable calling my Messiah a pig, even a “kosher” pig—even if the book is said to be “exciting and engaging” or an “important achievement in literature.” After reading your rant (*wink* – and it is a valid rant, dear friend! ), I am led to think that the message of the book might be excitedly ignorant of accepted truths at best, and disrespectful and deceptive at worst… but, this gut reaction of mine to Mr. Shapira’s book is one based on personal taste (because I am allergic to pork, and I did say I do not intend to read the book, sorry). Though it got me thinking: I haven’t yet met a follower of the Lubavitcher Rebbe calling the respected Rebbe a pig… and I don’t think I ever will. Yeshua, unless the historians were wrong, was not a goy, but an observant Jew. So to Christians trying to defend our Messiah or convince the Jews of his deity (which I think is the purpose of the Return of the Kosher Pig, as its website declares)—I ask you this: Does the Messiah really need our defending? The messiah does not need defending. We will all know the messiah when the messiah does what is in accordance with the Jewish scriptures with respect to the messianic age. I am looking forward to universal world peace, universal knowledge of G-d, re-building of the temple and the in-gathering of all Israel to the land of Israel. The messiah is to lead people to the worship of G-d not to the worship of the messiah. Have you read ‘The Jewish Gospels’ by Daniel Boyarin? Have you read the book yet? (if so, where did you get your copy from?) I have looked at the website and it has not been released yet. My Torah, Targum, Talmud Rabbi has always taught me to approach all things carefully and read before judging so that we hold on to what is good + profitable, and discard that which is not. There is no doubt that Rabbi Itzhak Shapira is Othodox Jewish. Surely, Jewish People might disagree who Messiah IS/WILL Be, (it has alwasy been our way ha ha ) but at this time, we are in unison where we are waiting for Messiah to return, so i am very interested in reading this book and looking at the arguments. The thesis for the book is written on the kosher pig website and quoted on my article. The saddest thing for me reading this, the crux of the entire debate, is the Messiah of Israel, the savior of the whole world, his appearance at the right time, is lost to the learned men of Rabbinic Judaism. They offer no solution as to His non appearance or for the continued vilification of the Jewish and of their continued dispersion among the goyim. Yeshua may be abused by Rabbinic Judaism, as have His teachings been abused by pagan Christendom, yet they offer no alternative light to the nations that they can offer. This is an enigma. The nation chosen to be a light to the Goy offers no light but is itself split into waring factions. Yeshua is the Messiah of Israel and if not He certainly can be of no value to the Goyim. That leaves the world lost in darkness and without hope. You wrongly assert that a messiah is a savior of the world. No such teaching is found in the Jewish scriptures. The central focus is not the messiah. The central focus will always be man’s willingness to do the will of G-d as clearly taught previously (Deut 10), presently and in the future (see Isaiah 2, 11). Perhaps you may benefit from reading the other articles on this blog? The Tenach clearly teaches that the Goyim will come to believe in the God of Abraham, Isaac and Jacob. Moshe in Deuteronomy 32:21-22 says HaShem will cause the Jewish people to become jealous of and angry at the Goy for their beliefs, that of the Shema, the One true God. For all the failures of Christendom, and there is so much, the same applied to Israel. The LORD said to Elijah, there is a remnant that has not bowed the knee to Baal. That is true of Israel. It is true of those who profess faith in Yeshua. If Yeshua is not the Messiah the Jewish leadership? must show the way. But according to your prophet Hosea 3, Israel will remain many days without king or prince and without knowledge of their God. Even without idolatry. Yet in the last days Israel would return, seek the LORD their God and David their king and come trembling to the LORD and His goodness. It is tragic that the Jews continue to be divided and without peace. Especially back in Eretz Israel. The must be an acceptable answer that the majority of the Jewish people are missing. The answer lies in the rejection of Joseph, then acceptance, the rejection of Moshe, then the acceptance. They typify Messiah. 1. Explanations Received and Transmitted by Moshe Relating to the Text of the Torah (Pri Etz Hadar = Etrog The SySTem of halachah). 2. Halachah leMoshe miSinai (The Laws of a Torah Scroll). 3. Laws Derived by Rules of Exegesis or Logic (Placement of Tefillin and the Plaintiff’s Burden of Proof). (Prohibition of Eating Fowl and Dairy Together). have provoked my jealousy: They kindled My anger. with a non-god: With something that is not a god. with a non-people: With a nation that has no name, as Scripture states, “This land of the Chaldeans-this people was not” (Isa. 23:13). And regarding Esau, Scripture states, “You are very despised” (Obad. 1:2). As a citizen of Israel and a religious Jew, I question the validity of this position. Shalom Menashe. Over 18 years and many many more visits for months at a time, I have throughout the land I’ve engaged with Jewish people in every walk of life. I love Israel and the Jewish people. My wife’s family is Harel. In terms of true shalom in the heart there is, in my experience, very little. There is no knowledge or little of what the future holds for Israel. There is no unified belief among the people as you are well aware. They may believe in HaShem but very few know anything about the Tenach . Or the requirements that come from the LORD Himself. With no Temple, priesthood and sacrifice Israel cannot fulfill the commands of Moshe or obey the LORD. Yet He is faithful to His people. Sadly we have what Jeremiah terms the time of Jacobs trouble fast approaching. And the horrific prophesies of Zechariah to find fulfillment. The Shoah was bad enough, to think that two thirds of Jewry is gong to be cut off is unthinkable. yet these are the words of the prophet. There is only one reason. The Jewish people have failed the LORD. Present day Rabbinism is alien to the words as recorded in the Tenack. As Isaiah records, “These people honor me with their lips but their hearts are far from Me.” Teaching as doctrines the precepts of men cannot please the LORD Menashe. 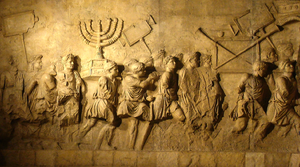 Judaism’s quarrel with Christianity, is significantly different from its dispute with any other belief system. Christianity does not try to present an independent argument with a supposed universal appeal (although it is often presented that way). Christianity claims to be the product of Judaism. Christianity rests on its claim to fulfillment of Jewish prophecies. As such, it must appeal to the Jewish mind-set, or else it must be false (hence the opening chapters of NT Matthew tries very hard to do this). Menashe the words from the Song of Moshe condemn Israel from provoking God with what is not God. Yet He will have compassion on them when He sees their strength is gone, Deuteronomy 32:36. Moshe says take heed, these words are a warning to Israel. “It is not an idle word – it is your life.” The fact that we have had a diaspora al these years is evident, from the words of Moshe, Israel has done exactly what he prophesied. Failed to listen, not only to him, but the God who redeemed them from Egypt. I say this is tragic. Israel’s position in the world is once again precarious and she will be abandoned by all except a faithful God who fulfills His words as spoken by the prophets. I can trust this God totally. His dealings with His people show me He is true and faithful. I can put my faith in His Son, Psalm 2 and Proverbs 30. Without atonement for sin we are doomed. He set the rules. I must obey Him. If we looking to mitvot to save, I must listen to Isaiah. They are filthy rags in Gods sight, as necessary as they are once we have come to know Him. Interesting…Jesus taught Torah, so some people of the Christian persuasion insist, and Torah tells us in Numbers 23:19 that “God is not a man, that he should lie, neither the son of man…” and now understand this is why Jesus kept referring to himself as “son of man” because the God of Israel tells us very specifically in Torah that “son of man” is not God! The God of Israel tells us very specifically in Torah that “son of man” is not God! Who is G-d’s son? נַשְּׁקוּ־בַר is a grammatically incorrect translation of the Hebrew phrase. Both Jews and Christians generally agree that 19,478 of the 19,479 words in the Masoretic Text of the Book of Psalms are Hebrew words. Does it make any sense to say that בַּר is the lone Aramaic word therein? He never used Aramaic words in any of his other psalms. Just in case you miss the point, let me summarize: the return of the Jewish people is not predicated in the belief of a divine messiah offering a universal substitutionary atonement as the central focus of a new covenant. No such thing can be derived from the Jewish scriptures! In unbelief? I do not know how you arrive at this in the light of the thriving religious population here in Eretz Israel! In the diaspora and Israel there are more centers of study and thriving communities than before WW2. If you mean unbelief as the newly added evangelical paradigm of the New Testament which is not supported in the Jewish scriptures, then I understand you. Deu 4:6 Keep therefore and do [them]; for this [is] your wisdom and your understanding in the sight of the nations, which shall hear all these statutes, and say, Surely this great nation [is] a wise and understanding people. 13 to keep the commandments of the Lord and His statutes which I command thee this day for thy good? 2 And it shall come to pass in the last days that the mountain of the Lord’s house shall be established on the top of the mountains, and shall be exalted above the hills, and all nations shall flow unto it. Will the LORD be pleased with thousands of rams, [or] with ten thousands of rivers of oil? shall I give my firstborn [for] my transgression, the fruit of my body [for] the sin of my soul? No messiah worship here, no sacrificing a messiah either, just Torah wisdom which G-d wants us Jews to do and which non Jews will too in the messianic age (Isa 2). Menashe the last thing I would ever do is show disrespect. I’m speaking about a massive number of Jews who are secular. If Israel is back in belief I’d honestly appreciate your understanding of the passages dealing with judgement on the nation. Jeremiah 30:7 The passage on Jacobs trouble. Passages on the Day of the LORD and the prophesies of Zechariah concerning two thirds of the nation perishing are frightening. Thankfully Zechariah 12 shows the LORD will once again pour out His Ruach on the people and draw them to Himself. 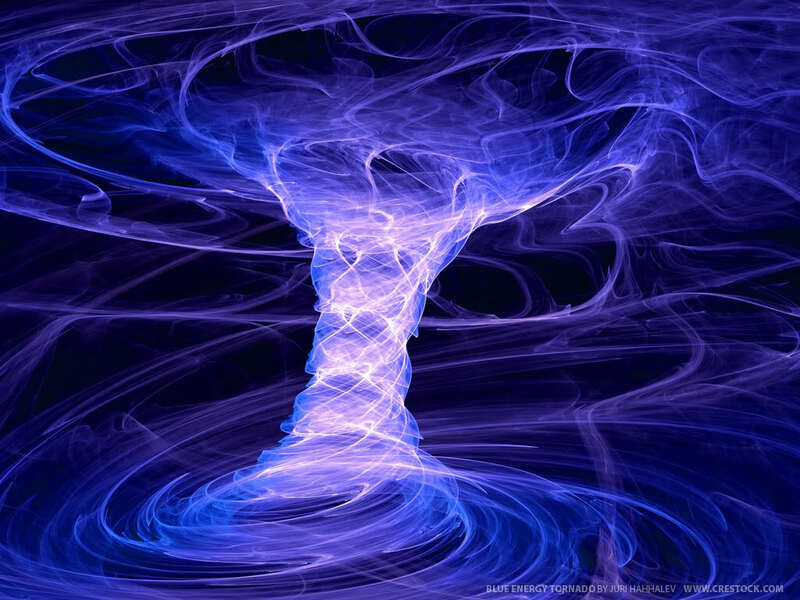 Yes it is indeed frightening to think that such a dreadful situation may occur WRT Zechariah. However, as far as secular Jews are concerned I have been pleasantly surprised on a number of occasions. However, Judaism is not a religion but a nationality. To demote Judaism to a religion would mean that performance is what counts to stay in the club so to speak, a shame especially when we are already chosen and that G-d has already provided repentance without need of a substitute (Ezekiel 18). Thanks Menashe. It is good to have you as a friend on FB also. Definition of Rechilot: Murder of your brother according to the Torah as it states לֹא-תֵלֵךְ רָכִיל בְּעַמֶּיךָ, לֹא תַעֲמֹד עַל-דַּם רֵעֶךָ: אֲנִי, יְהוָה. Before G-D, let me ask you Menashe if you read “The Return of the Kosher Pig”. The answer will be NO since the book is not out even yet. I found it just find it amazing that you would put a review of a book that you have not read. Once you read the book you can write your own “review” of it, but you will have to wait until it is out, until that point, all attacks against this groundbreaking work and against me are nothing more than Rechilot. HaShem watches and hears all the slander of this S’inat Chinam. This is my first and last comment as I hate to see you involved in such L’eshonot R’ahot. I am more certain that going into a debate with this man Rabbi Itzhak Shapira, will be the destruction of everything this whole article had to offer ignorant followers and adherents. Not everything in Kabbalah every Jew believes, Just like Shapira, does not have to believe Maimonides, when He says G-d is yachid instead of echad. You eat the meat and spit out the bones. All this being said, in desperation for this to go away. It will not go away. WHY? because this government as Daniel foresaw, will endure forever. ( Daniel 7:13-15). Jews don’t have to believe in nothing but G-d. If they believe the rabbi’s it’s because they found out that they were true in their intent. Maimonides and Rashi were considered banned. And they were loved afterwards. But thank G-d. Maimonides nor any those of the Orthodox movement owns, G-d, Torah, Judaism, the Jewish people, nor it’s land. You can only conclude that Messiah will be Divine. The Jews before the first century did. And some Jews today, have applied the same thing to their personal rabbi’s. But this is Judaism. It’s always been pluralistic. Never been ONE fixed idea. But an Idea of Ideas. Way to highjack Judasim. To claim they evolved from Judaism, but they somehow are truth and Judaism isn’t anylonger. I want to tell them, you use Judaism as a vehicle to try to grab attention then grab all of the recognition and credit for everything, and replace Hashem also with someone else and new doctrine. It is just asinine. Talk about picking and choosing. No, torah is what it is. You are either observant, not observant or not Jewish. This was a interesting article and an even more interesting commentary. I could do without all of the childish attacks from both sides but I suppose that should be expected, unfortunately. Thank you Manashe for taking the time to respond to the comments, as a gentile aspiring to convert I learned allot from them.